Uses a pre-trained model to detect faces in a given image. Send your input as a url to a picture that is either hosted on our data API or is a direct link, and the output is the same image, with rectangles around the detected faces, written to your collection. A text file that contains all the coordinates of the rectangles is also output to the same collection for convenience. The text file contains 4 integers: the x and y coordinates of the top left of the rectangle, the width of the rectangle and the height of the rectangle. (Required): Image URL or Data API URL. (Required): Processed image file destination. 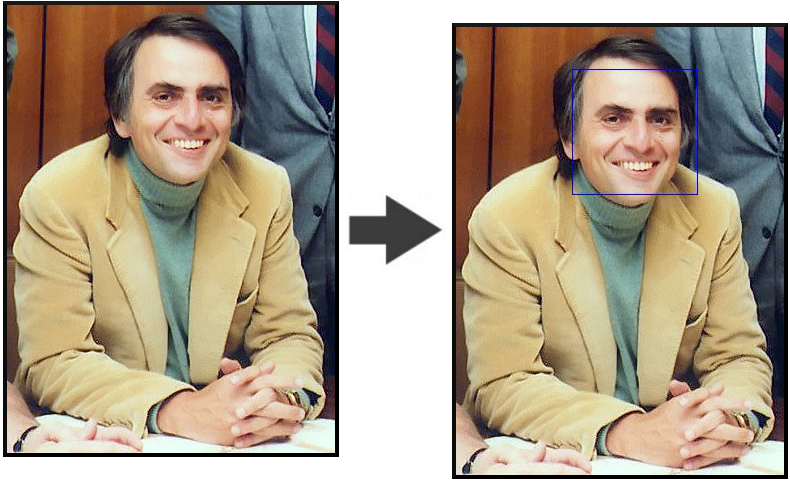 This face detection algorithm is based on the openCV library.